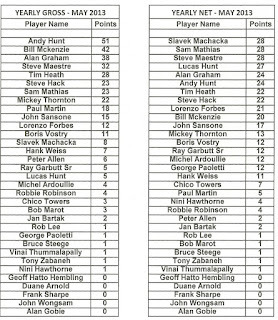 Thanks to all that participated Saturday in the 5th Monthly tournament of the year. 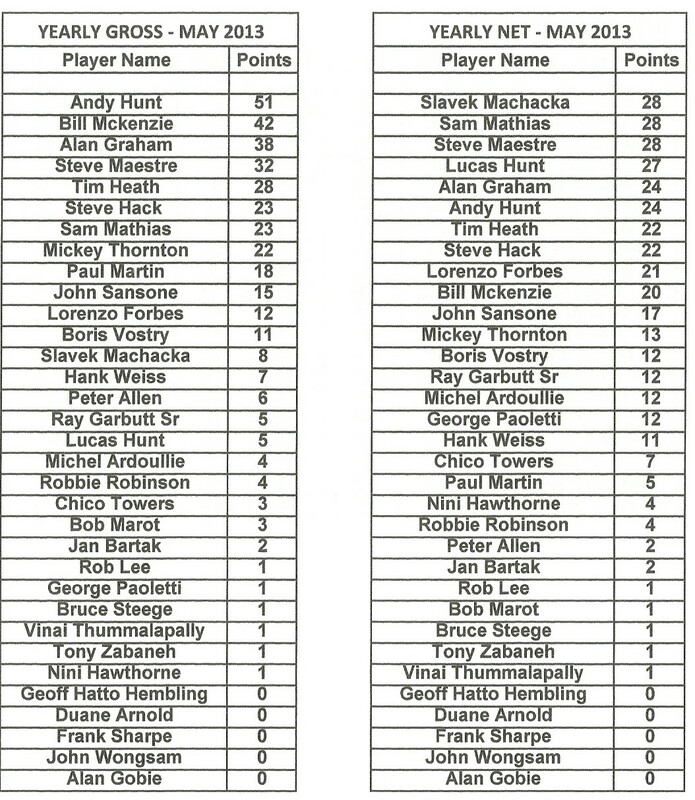 We saw the race for the Yearly Net Points tighten up with the 3 S&Ms level on 28 points. Only 17 points separate the top half of the table so plenty to play for. 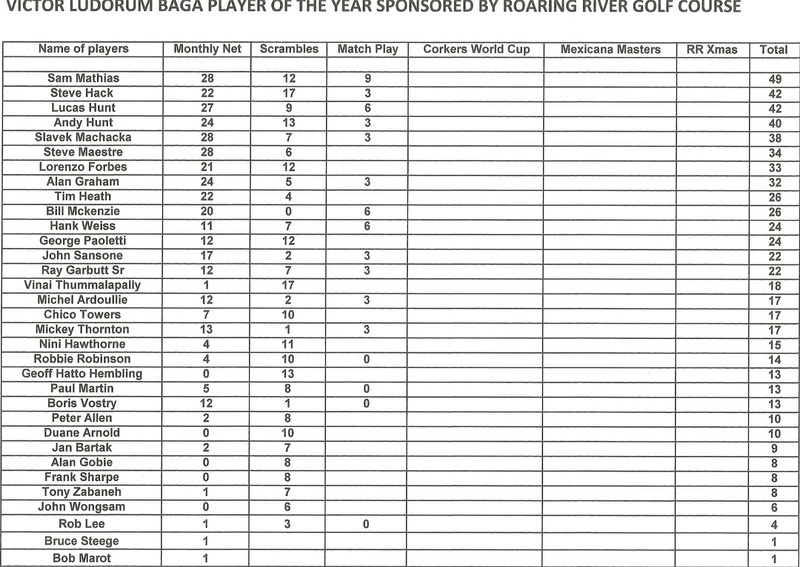 The Victor Ludorum Player of the year sees 1 player make a massive move to the top of the table, although there are lots of points available in the next month at the Corkers World Cup and the double points Belize Amateur Open. Tables Below. Thanks to the prize donations from Mickey Thornton, Bill Mckenzie, Robbie Robinson and the Southern Possie. Welcome to Nini Hawthorne, our newest and only female member. Don't forget the Corkers World Cup is only a few weeks away. Sign up early to ensure your place in the tournament. We hope to see as many of you as possible enter this fun and extremely competitive team event on June 1st. Our next monthly tournament is the big one. 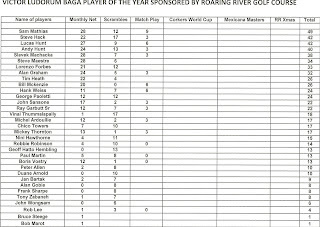 The RF&G Belize Amateur Open on June 22nd/23rd. Again a reminder to our players to sign up early to avoid disappointment. Click to visit the RF&G Open Page here : http://www.facebook.com/events/161747290641302/?ref=ts&fref=ts. Southern Chip In : Ray Garbutt Sr, Bill Mckenzie, Sam Mathias, Michel Ardoullie.